Designed For Simplicity – Building with Blocs is simple and fun. A clean, intuitive interface makes creating sites unbelievably quick. Simply click, select, edit and enjoy stacking blocks to build your website. Its ease of use will make you feel right at home. Powerful Styling features – Behind the simplified interface of Blocs lie some of its more advanced editing features. When you are ready to get more creative with your designs, Blocs will grow with you. You set the pace. Create CMS-Driven Websites – Blocs has integrated support for a range of premium (paid) and open source (free) third-party content management systems. It’s now possible to easily create powerful, dynamic websites, that can be updated and contributed to, right from your web browser. Time-Saving features – Paint mode, global swatches, auto text colouring and one click animations are just a few of the playful, time saving features in Blocs. You’ll be amazed how quickly you can create a website. Added vh (Viewport Height) vw (Viewport Width) measurement support to Class Editor. Improved row and column width control handle placement on edge to edge designs. Added character count to SEO title field in project settings. Updated edge to edge carousel Bloc to use new required row settings. Pressing the escape key exits text editing mode (do this to show freehand margin controls after editing text). Auto exit text edit mode when resizing a text element. Added class helper link button to HTML input area on Bric Builder. Improved custom Bric installation method. Now checks version and offers to replace older versions. Integrate store entry points into main app. Fixed issue with hidden content being shown when editing a custom Brics values. Fixed issue that caused freehand mode to lock and become unresponsive. Fixed issue that left missing Bric window open when main window is closed. Fixed issue that caused Bric sidebar to display grid uneven when scroll bars are forced. Fixed issue that caused Bric html to break in Bric Builder if value attribute contains a right chevron. Fixed various issues with Parallax BG not showing on smaller laptop screens. Fixed issue with Bric Builder showing wrong icon in layer tree. 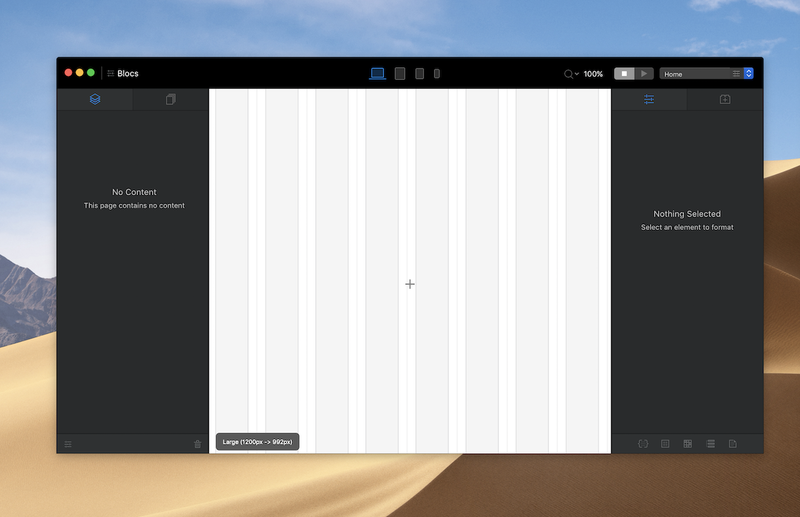 Fixed issue with exporting Pulse CMS when using advanced export. Fixed issue with Pulse CMS theme not working when opengraph directory is missing. Fixed issue that caused Blocs form validation to effect 3rd party forms added to page. Fixed issue that caused all page template code to be checked for potential migration to Bootstrap 4 when not required. Fixed issue with BS4 migration function that edited content within HTML widgets. Fixed issue that caused menu selections in Menu Manager to always show as being the first menu in the list.